Last year was noteworthy for cyber attacks, including ransomware, botnets, data breaches and even more. In addition, in 2018 cyber attacks are predicted to increase, especially when it comes to IoT smart home devices. Home is a place where all the private users’ data is kept. Currently, over 100 billion devices are connected to the Internet and most of them are located in users’ home. The devices, including lights, baby monitors, home security systems and cameras can be potentially hacked and taken advantage of by cybercriminals. However, security of the home network is usually neglected. Every smart-home owner has to consider the fact that as the usage of IoT devices increase, the cybercriminals and the attacks targeting smart-home devices also will increase. If you want to have a truly smart home, you cannot forget about the security of your Wi-Fi network and its all connected devices. 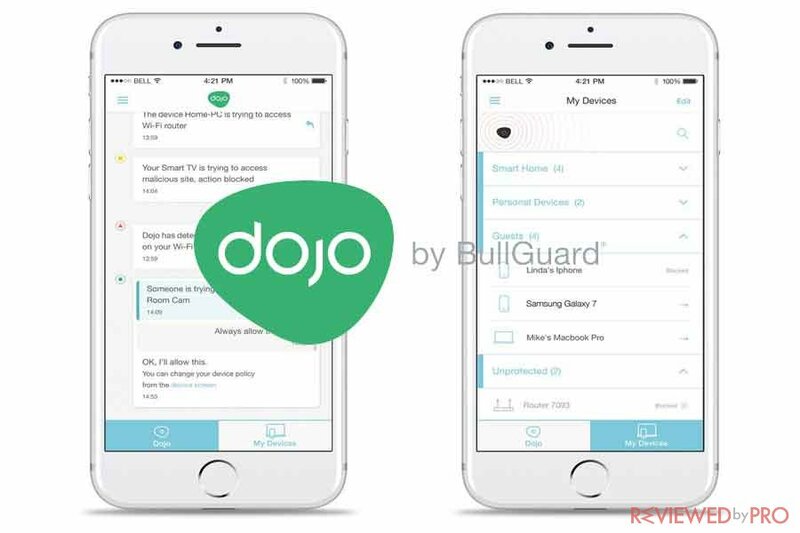 Dojo by BullGuard was launched in mid-2017. The Pebble delivers security to all connected smart home devices and protects them from malware, viruses and any others cyber threats and attacks. In addition, Dojo keeps its users’ privacy intact and all your connected devices in check, ensuring no one will breach your privacy. Dojo delivers its customers a security technology that connects to user’s network and acts as the important security layer between your IoT devices and any cyber threats to the entire network security. Dojo can be moved around your home. It also glows when it detects an activity that needs to be addressed in the app. The software is designed to be able to learn. It gets to know the devices it protects and finds patterns in their overall behavior. By applying this intelligence, the pebble sets up a perimeter that secures your home network and ensures total control, so nothing goes in or out. The Pebble uses sophisticated defense system that utilizes pattern recognition to learn to find and uncover cyber threats. Dojo detection system does not require it to look at the data or know what’s attacking, and it can simply block them. It is focused on patterns and not your information or data, in order to keep your home network safe and data private. 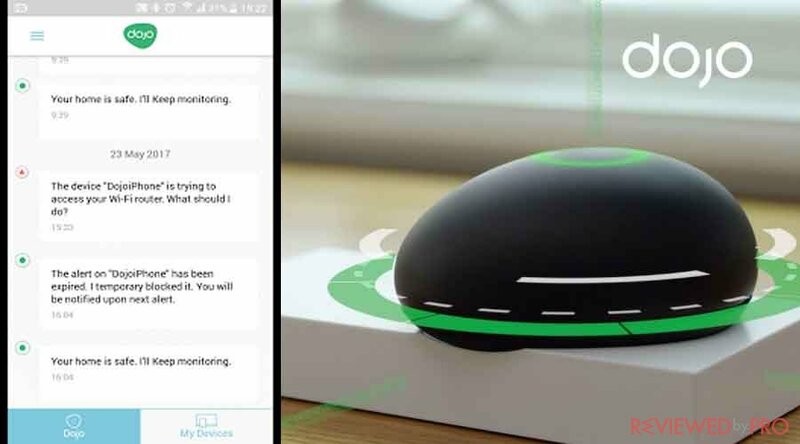 Dojo is designed to be moved around your home and give you a quick visual notification on the status of your Wi-Fi network and its connected devices. Dojo has three levels of notifications, including green, yellow and red. The red alert will also reach you via Dojo App. Dojo chat app will keep in touch with you and will notify you if there is something afoot. This way, Dojo will ensure you are informed about all the issues before they affect your security of privacy. In addition, Dojo provides you with an advanced enterprise-level security. It ensures your Wi-Fi network and all smart devices connected to it are secured and protected against potential cyber threats. Dojo also makes sure nothing gets in and no private information and files can be accessed by third parties or taken out of the network. It could be said that Dojo locks all virtual doors and windows in your home Wi-Fi network and keeps its’ users’ private data safe. Smart connected homes and networks can be vulnerable and be easily accessed from anywhere in the world. As a result, cybercriminals can cause users financial or privacy damage. Dojo protects unwanted access, also known as intruders, from gaining access to your personal devices and Wi-Fi network. Dojo provides you with easy and simple control of security features through its friendly Dojo mobile app. The app delivers real-time instant risk notifications on cyber attacks, bugs, privacy breach detections and more. As it was mentioned before, Dojo constantly learns about your home Wi-Fi network and its devices in order to ensure a total protection. Dojo is always awake. The pebble adapts, plans and provides advanced protection to your network. Since its first appearance in 2017, Dojo by BullGuard was tested and used by many customers and professional bloggers that provide their reviews and opinions on the Pebble. Dojo by BullGuard is the world’s most comprehensive smart home cyber-security solution and was built from the ground up as an enterprise-grade, network security service for the smart home. Dojo receives mostly positive reviews and feedback. It is praised for its’ modern minimalistic design, simplicity, and advanced protection, thus the Pebble covers all the devices that are connected to the network. So with only one device, you can protect your whole family devices, its security, and privacy from the most common threats and cyber attacks. Dojo by BullGuard retails at $199 USD that comes with the first 12-months service. The following will cost users $9.99 per month. A contract is not required. Dojo by BullGuard package includes the Dojo Pebble, Dojo based unit, quick start guide, Ethernet cable and AC Adapter. Before starting to set up Dojo, you have to have four AA batteries, Wi-Fi router admin credentials and be powered on your smartphone with its Bluetooth connection enabled. The general steps are: connect the Dojo Vase Unit to your home Wi-Fi router; downloading and installing the Dojo App; power on the Dojo pebble. Finally, register your Dojo and create your Dojo by BullGuard account. 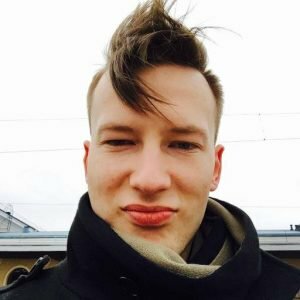 Dojo was launched by BullGuard. BullGuard was founded in 2001, Copenhagen, Denmark. Today the company is headquartered in London, United Kingdom. BullGuard provides consumers a simple way to protect their digital life, including personal data, sensitive information, devices, networks and more. BullGuard offers its users a combination of technical expertise and understanding of consumers’ needs, in order to deliver advanced and complete protection access all smart devices. ^ Dojo by BullGuard. Dojo. This entry was posted on 2018-01-17 at 07:49 and is filed under News.